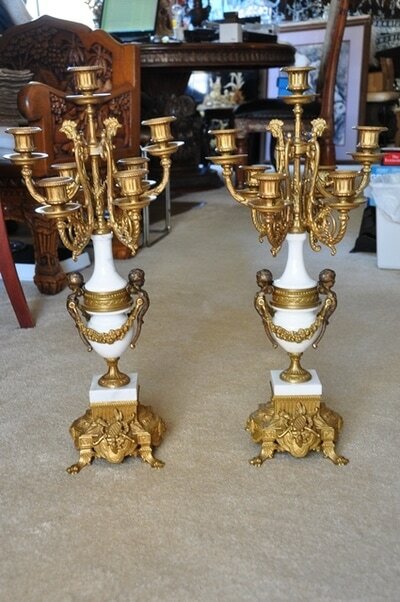 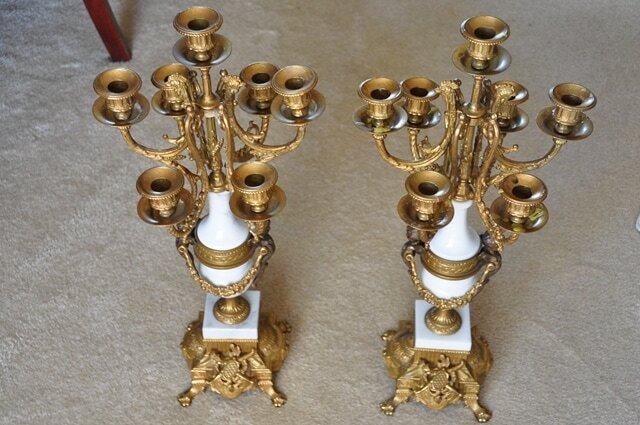 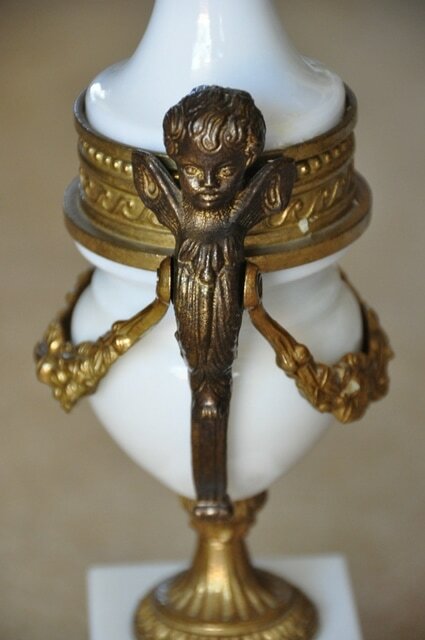 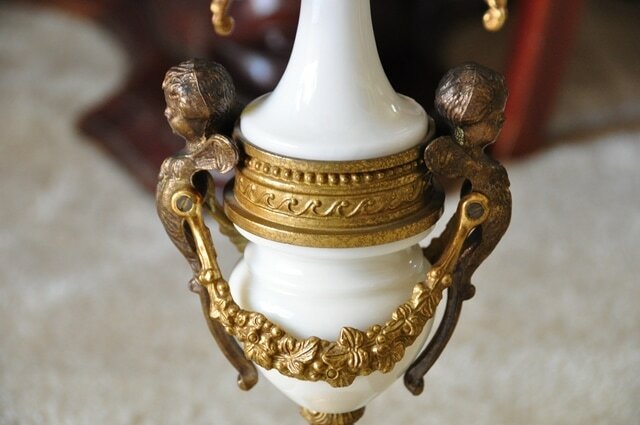 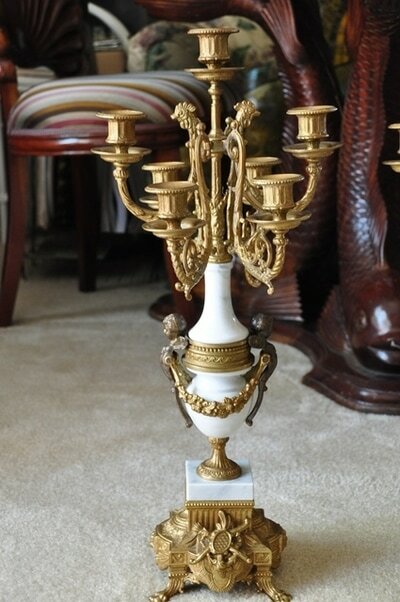 This is a pair of Italian gilt bronze 7-light candelabra, each with six scroll arms above an urn shaped marble body having a cast figural cherub shaped handle to each side connected by a gilt metal garland. 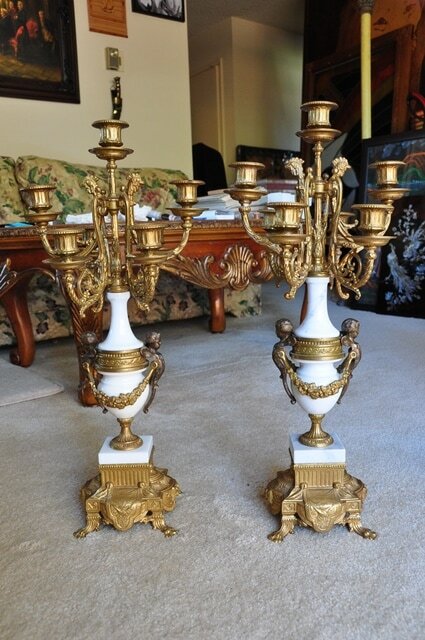 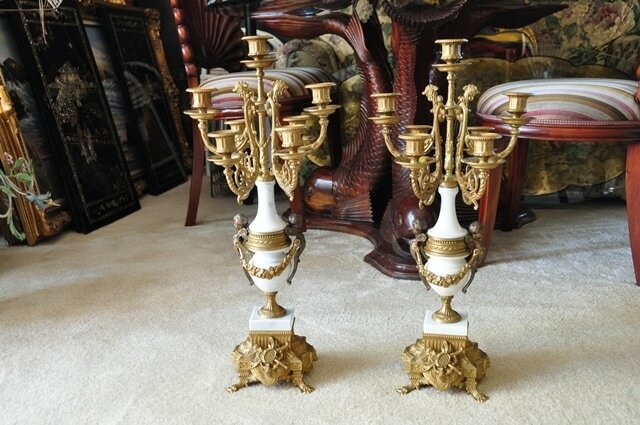 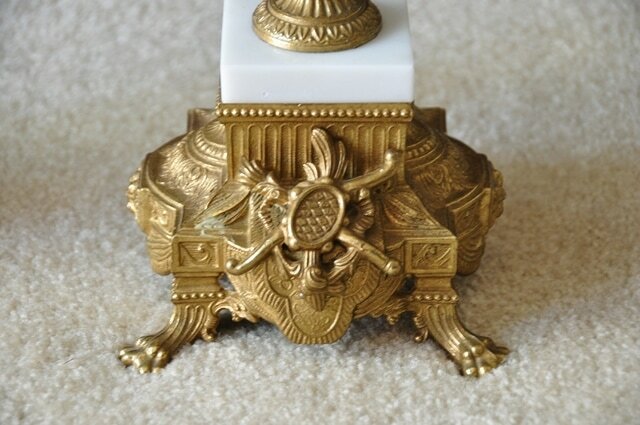 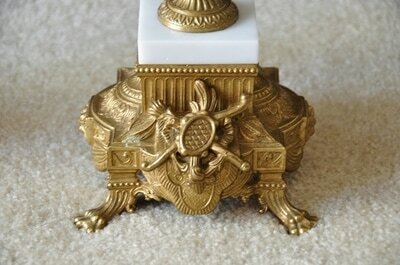 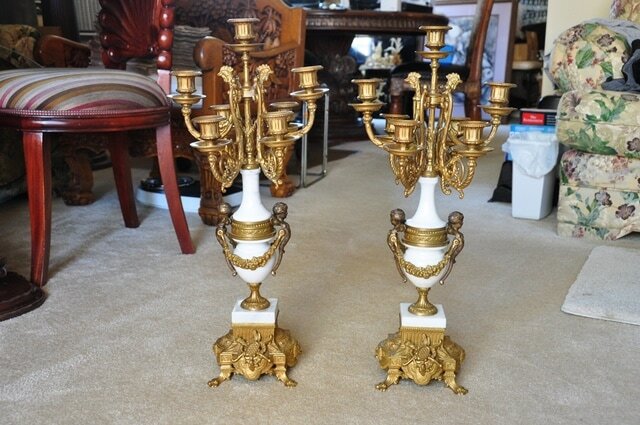 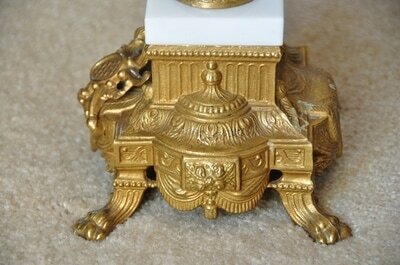 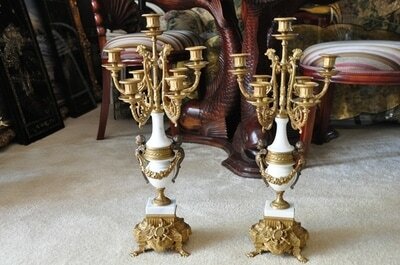 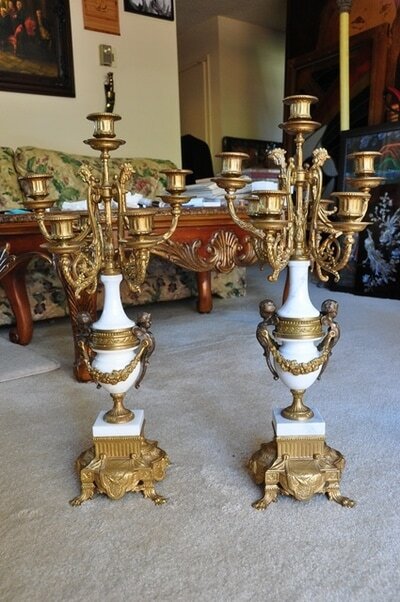 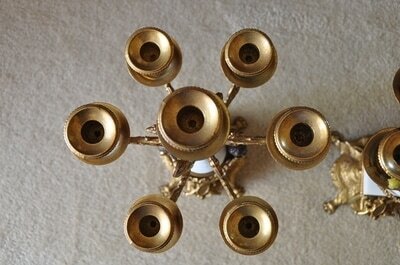 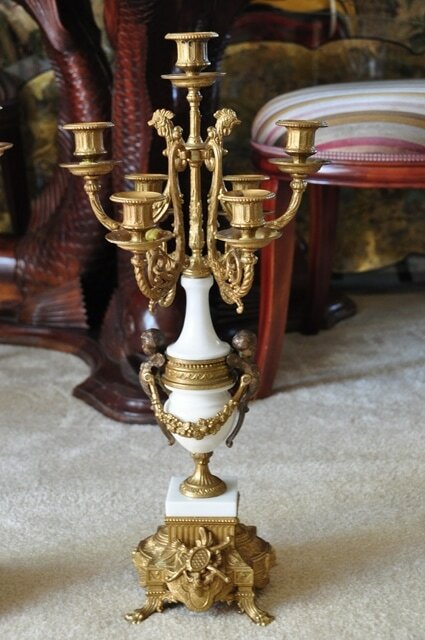 The candelabra is mounted on a white marble base on top of a quatrefoil gilt bronze base with 4 paw feet. 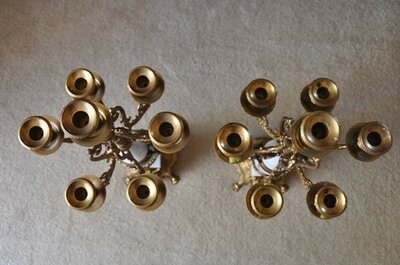 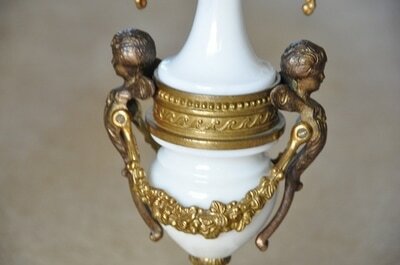 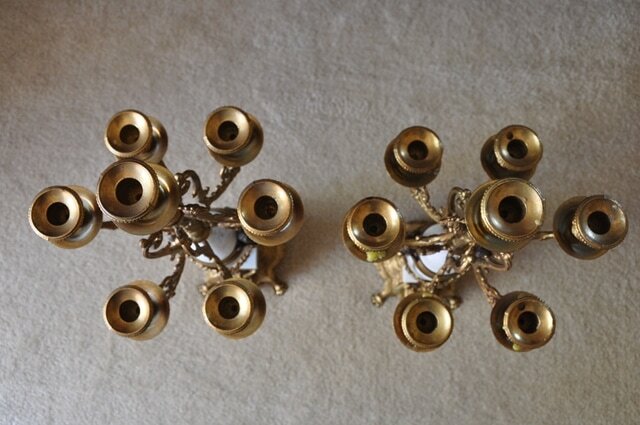 In addition to leaf motifs two rooster head decorations are present on the top of the candelabra. Overall they are 24" tall, 11" wide and weigh about 15 lb each. 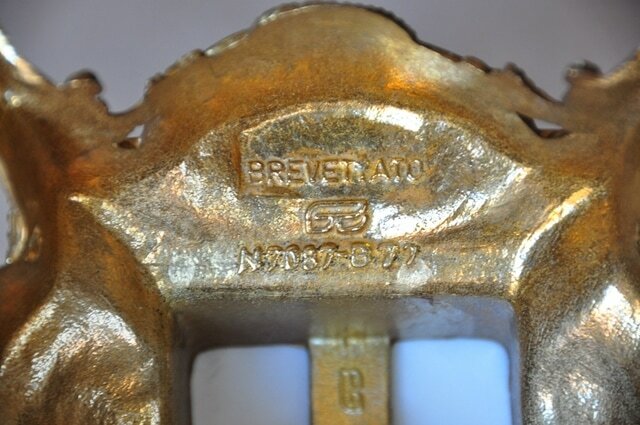 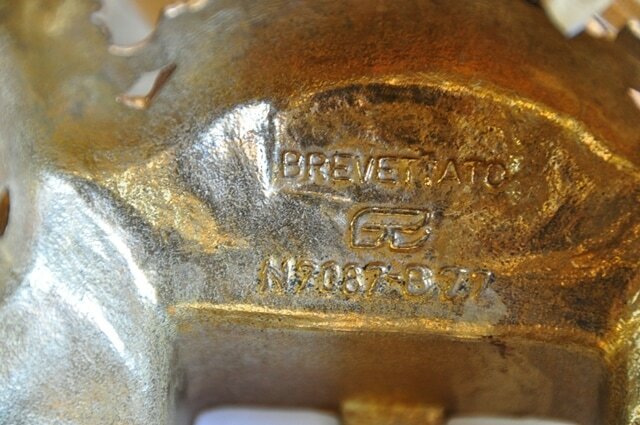 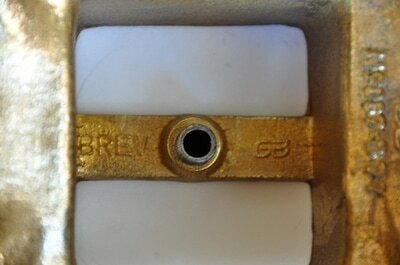 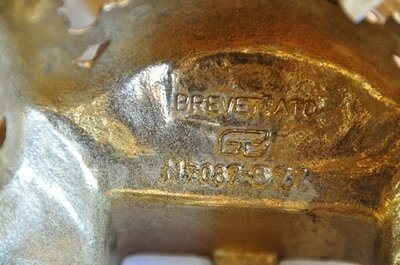 Underside of the base is marked BREVETTATO, N7987-877.